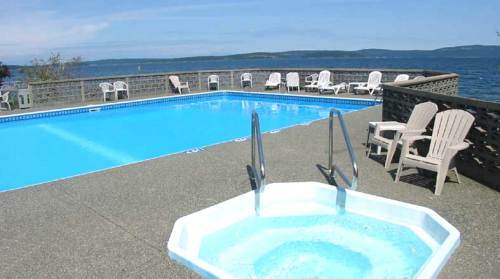 Welcome to Inn of the Sea Resort, the exclusive private condominium resort near famous Yellow Point, on Vancouver Island, BC, Canada. 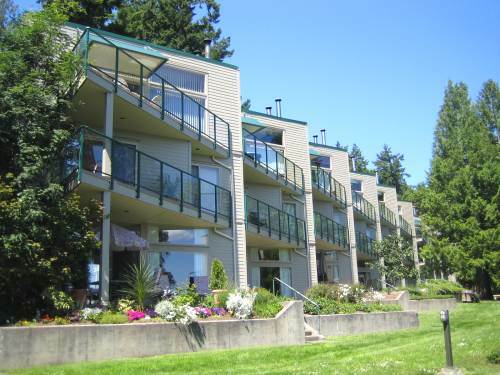 Close to both Victoria and Nanaimo, the condo overlooks beautiful Stuart Channel and the northern Gulf Islands in the Pacific Ocean. 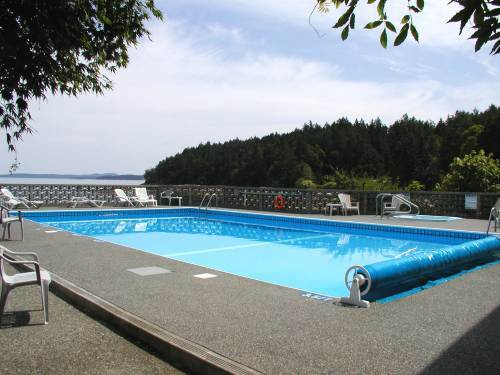 Its location perfectly blends the green West Coast forest with the protected blue inland waters of the Strait of Georgia. 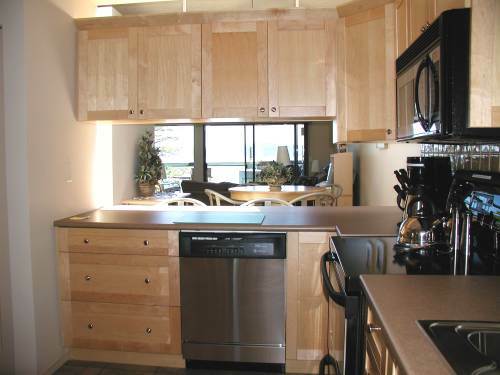 has large panoramic windows, a large fireplace, and a surround sound system! Activities are endless. 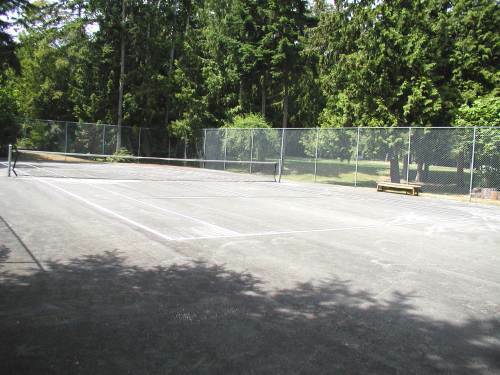 On site there is a floating dock, a large swimming pool, a hot tub, a tennis court, an excellent year-round on-beach firepit, children's playground and jungle-gym, and a large grassy field for playing ball. There's also toys for the kids, tennis racquets and balls, games, books, and a video selection of over 250 movies for those occasional rainy days. 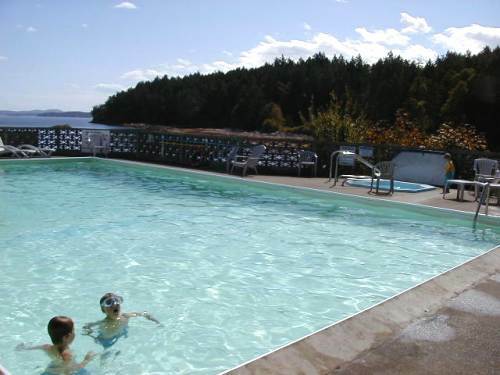 Off site, but close by, there's canoe and kayak rentals, golf, sailing, trails, parks, and hiking, and quadratrak rentals. World famous salmon fishing is only an hour north. You can safely bike ride on surrounding country roads. It's a short drive to the village of Cedar, or the City of Namaimo. 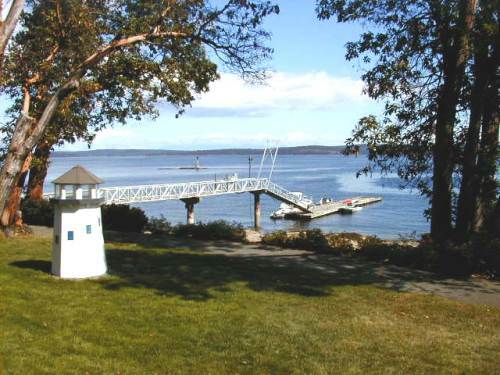 This spectacular setting overlooks the beautiful Stuart Channel and the northern Gulf Islands. Its location perfectly blends the green West Coast forests with the protected blue inland waters of the Strait of Georgia in the Pacific Ocean, near Victoria, on Vancouver Island, in British Columbia, Canada. 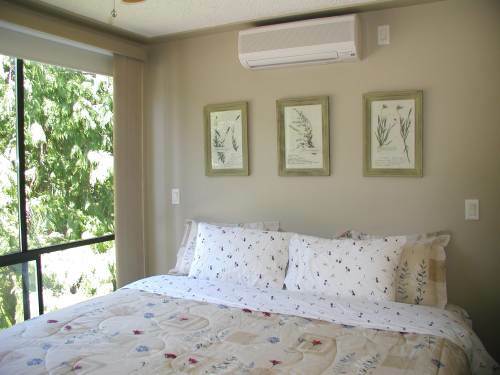 The condominium can be rented as a hotel unit, a one-bedroom suite, or two-bedroom, two-bathroom suite. 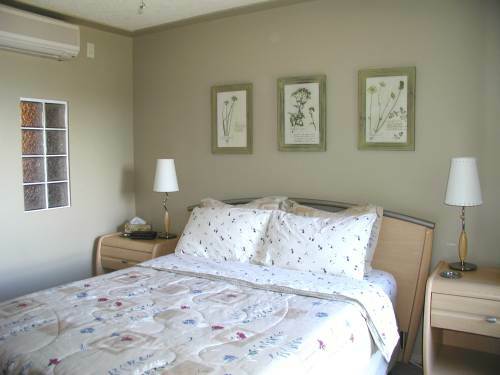 The hotel unit is equipped with a queen-size bed, TV/VCR, refrigerator, coffee maker, and small deck. 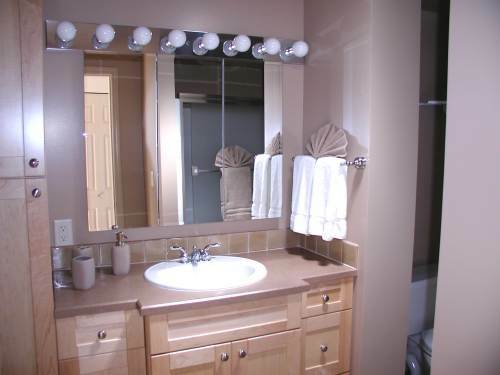 It has a separate entrance but can be combined with the upper level to form a two-bedroom, two-bathroom suite. The upper level contains a full kitchen with deck, dining room, living room with pull-out queen sofa, and separate bedroom with twin beds which convert to a king. Inn of the Sea Resort is located at Yellow Point, just outside Nanaimo, BC on Vancouver Island. 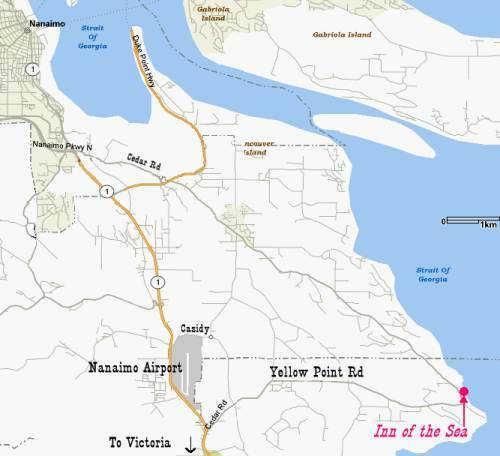 Access to Vancouver Island is by BC Ferries (through several possible routes) or many regularly scheduled flights into the nearby Nanaimo Airport. It's an easy, scenic, one hour drive from Victoria. 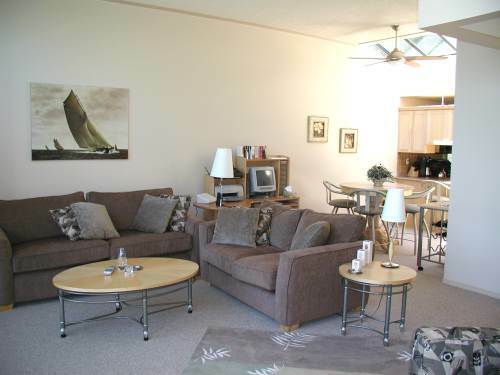 It's a short drive to the village of Cedar with groceries, gas, and restaurants. 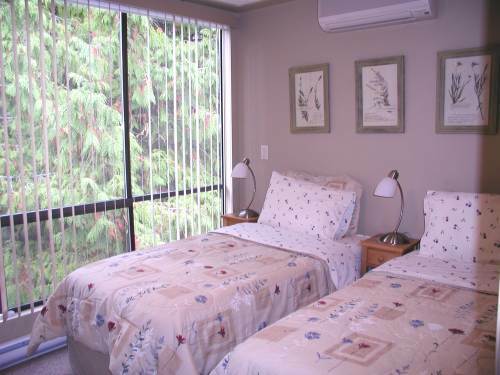 A little further is the bustling city of Nanaimo with many tourist sights and attractions. Victoria, the capital of British Columbia, is only an hour drive south where all the amenities of a larger city can be found. # Rates are based on four person occupancy. 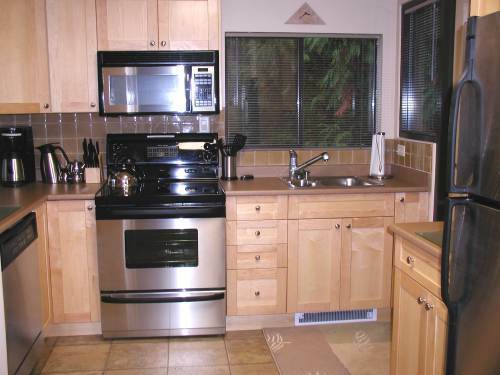 Subtract $200 per week ($50 per night) in low season if two persons and only one bedroom required. 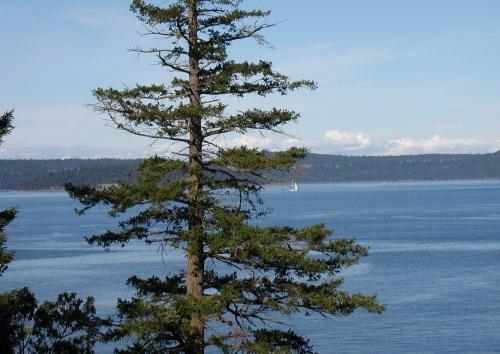 Vancouver Island is full of activities, from whale and grizzly bear watching tours to opera and theatre. Victoria, the capital of British Columbia, is only an hour's drive south where all the amenities of a larger city can be found. 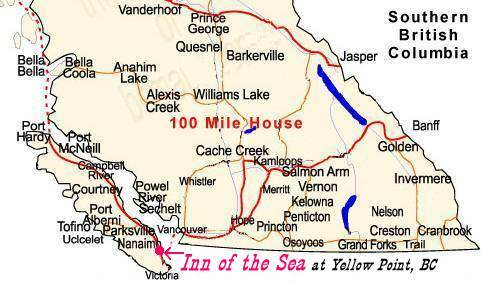 World famous salmon fishing is only an hour north, at Campbell River or Port Alberni. The inland waters of the Gulf Islands and Strait of Georgia are the best in the world for cruising. Yacht charters are available from several locations. Kayaking these calm and safe waters is fast becoming the most popular on-water activity. Several nearby companies rent or sell canoes and kayaks and will meet you at the nearby beach for boat delivery and orientation. Lessens can also be arranged. 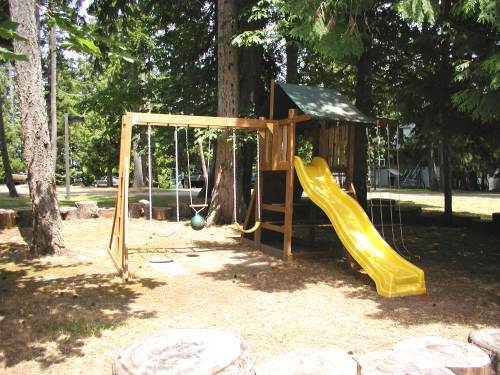 Recently a quadratrak rental has opened in the area, adding another exciting activity for the adventurous. Mountain biking, hiking, horseback riding, skiing, snowshoeing, and many other outdoor activities are available on Vancouver Island, none more than a couple of hours away.